Huge capacities have been planned by Indian power companies. However, coal supply to fuel these huge expansions still remains a concern with years spent only on clearances. In yet another example of delayed decisions, mining activities have not started in the block allotted to GMR Energy along with the other power companies in 2008. “The joint venture company has been formed. Pre-development activities take around two to three years’ time. Forest clearances, exploration clearances and environmental clearances are required. The process is going on,” said Raaj Kumar, chief executive for energy sector, GMR Energy Ltd. The coal block was allotted to GMR Energy by the Indian government in January 2008. GMR has a planned capacity of 4,200 mega watts (MW) to be completed by 2012. However, the company does not expect coal supply to be a problem in achieving these targets. The Rampia and dip Rampia block in the IB Valley of Orissa was allotted to GMR Energy along with Sterlite Energy Ltd, Arcelor Mittal India Ltd, Lanco Group Ltd, Navbharat Power Ltd and Reliance Energy Ltd. 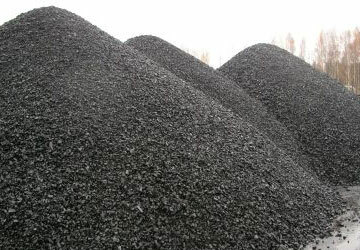 The Indian government had decided to allot 15 coal blocks reserved for the power sector in mid-2007. The coal blocks where then allotted in January 2008. GMR Energy was among the 31 power companies shortlisted for allotment of coal blocks for captive use. Eight of the 15 coal blocks were allotted on a sharing basis, the Orissa block being one of these 15 blocks. These coal blocks were allotted with a view to accelerate coal production in the country to meet the huge demand from the power sector. However, the Orissa block, one of the 15 blocks allotted in this phase, is an example of how domestic coal supply in India suffers due to time lost in various clearances. While this Orissa block awaits clearance, last year Adani Power was denied environmental clearance for two Lohara coal blocks in Maharashtra. The coal block was expected to fuel Adani’s power project at Gondia to start by 2011.